In 30 days a significant new excise tax takes effect for many small businesses that reimburse employee health care expenses. Tens of thousands of small business employers are likely affected and many may still be unaware of the new tax. This article is written in non-technical language without references in an attempt to explain the tax law in plain language. The “Other publications” section includes articles with legal references. The Affordable Care Act passed in 2010 includes Internal Revenue Code Section 4980D that adds an excise tax penalty against employers that reimburse employee health care expenses in a non-permitted manner. The original effective date of provision of the law was January 1, 2014. Large employers are already subject to the penalty provision. IRS issued various clarifications over the past two years and then offered an delay in enforcement of tax penalties for small business employers until June 30, 2015. Despite the clarifications and extension, IRS is aware that many small firms are in violation of this section of the tax code. The penalty is $100 per employee per day of violation which works out to $36,500 per employee for businesses with an ongoing violation. Obviously few small businesses could endure this amount of additional tax penalty. The law includes an alternate lower penalty for non-intentional violations in an amount of 10% of the employer payment. Yet the cost of professional representation to prove that the lower penalty is appropriate might significantly increase the cost of this violation. The tax penalty should be self-assessed at the time the 2015 tax return is prepared. In most cases we presume that this means that the 2015 business income tax return would be prepared in early 2016. In this scenario the first tax penalty for an employer with an ongoing non-qualified health expense reimbursement program would be assessed for six months: July 1, 2015 to December 31, 2015. The presumed initial tax penalty would be $18,250 per employee. Presumably the lower penalty cannot be self-addressed (it is tough to argue “unintentional violation” if you admit that you know about the law in the tax return preparation) but must be argued in response to an audit. The assessment and appeal process possibilities are not discussed in this article. We might also presume that some tax preparers would be reluctant to self-assess and thereby increase their business client’s next tax assessment calculation by an amount of $18,250 per employee per year. This might be especially true if the tax preparer is also viewed as a tax adviser who did not provide appropriate advance warning of the new tax penalty. This article does not address potential tax preparer liability with regard to IRC 4980D excise tax penalties. An employer may reimburse employee health care expenses if the reimbursement plan meets the requirements of and the reimbursement is limited to employees who are covered under an employer-provided ACA-compliant group health insurance plan. Specifically, employees covered by another employer’s health insurance (e.g. spousal coverage) or (except in limited circumstances where group insurance is not appropriate) employees covered by individual health insurance. 1) Amend the reimbursement plan documents to comply with current law. 2) Adjust payroll taxes retroactively to reflect the correct tax treatment of prior health care reimbursements. For businesses currently in violation of 4980D, it seems unlikely that either corrective action on its own would avoid tax penalties; both measures must be taken together. As a practical matter, it seems likely that small business employers making this change for tax compliance reasons would seek an alternative qualified reimbursement arrangement to “soften the blow” of this severe change in their employee benefit plans. I wrote an article titled “The changing role of small business Health Reimbursement Arrangements” suggesting one idea to convert the reimbursement arrangement to one that provides exempted benefits. Opinions expressed are the solely those of the author and do not represent the position of any other person, company or entity mentioned in the article. Information is from sources believed to be reliable but cannot be guaranteed. Any accounting, business or tax advice contained in this communication, including attachments and enclosures, is not intended as a thorough, in-depth analysis of specific issues or a substitute for a formal opinion, nor is it sufficient to avoid tax-related penalties. 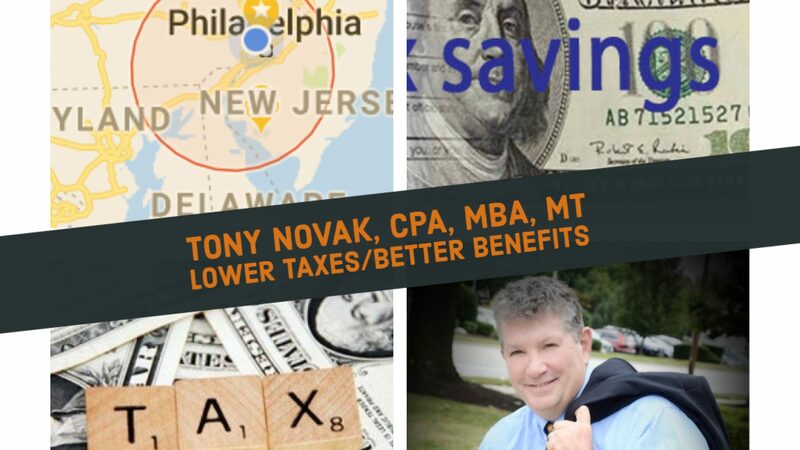 Tony Novak operates as an independent advisor under the trademarks “Freedom Benefits”, “OnlineAdviser” and “OnlineNavigator” and is not a representative, agent, broker, producer or navigator for any securities broker dealer firm, federal or state health insurance marketplace or qualified health plan carrier. He has no financial position in any stocks mentioned. Novak may work as an accountant, agent, adviser, writer, consultant, marketer, reviewer, endorser, producer, lead generator or referrer to the companies listed on this site and for other commercial companies.